Meet Annie! She was raised here at Save A Dog after being taken in as a newborn, nursed by Dora the wonder dog, then tube fed by volunteers. She and her siblings are: Danny, Bobby, Annie, Gracie, Oliver, Turbo, and Flyer. There are five boys and two girls. They were born around Feb 19th so will be 8 weeks old around April 16th. All have been well socialized by the volunteers and are on a fresh food diet so are very healthy. Holistic homes are sought for these gorgeous, fluffy puppies. They need someone home with them during the day and are too young for doggy day care. All are well adjusted, love to play with toys and with each other. Annie is smart, figures things out first, and is brave outside, chasing leaves and investigating everything. She is quiet inside and is gentle with children. Please fill out an application first as they are in a foster home. Hi there! My name is Bam Bam. Cute name, huh? I'm almost six months old, already neutered, Pharoah hound mix. I'm great with dogs. I love to play and my favorite thing to do is play with other dogs. I like to hunt around for stuffed animals and when I find one, I like to prance around the house with it. The other day I found a stuffed Halloween spider and I had so much fun shaking it and watching all the legs dance. I also love toys and I like to be outside. Hiking, walking, jumping around, anything outside as long as I'm with my people or other dogs, is fun for me. My tail is always wagging and I never met a stranger I didn't like. I'm available to be visited once we receive your application. Meet Bobby! He was raised here at Save A Dog after being taken in as a newborn, nursed by Dora the wonder dog, then tube fed by volunteers. He and his siblings are: Danny, Bobby, Annie, Gracie, Oliver, Turbo, and Flyer. There are five boys and two girls. They were born around Feb 19th so will be 8 weeks old around April 16th. All have been well socialized by the volunteers and are on a fresh food diet so are very healthy. 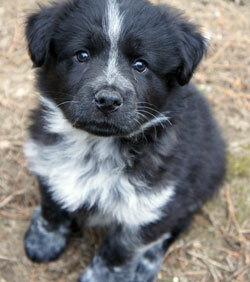 Holistic homes are sought for these gorgeous, fluffy puppies. They need someone home with them during the day and are too young for doggy day care. All are well adjusted, love to play with toys and with each other. Bobby is very playful and adventurous. He loves the outdoors and is very playful. PLEASE FILL OUT AN APPLICATION FIRST AS THEY ARE IN A FOSTER HOME. 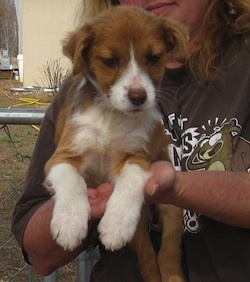 Chastity is a 5 month old female Sheltie who was relinquished by her breeder because of the bad economy. Anyone who has met her in person cannot believe she's still at the shelter. This dog is gorgeous! And she has a sweet, gentle personality and plays nicely with other dogs. She's well behaved in the kennel, not a barker, keeps her kennel clean, is soft to touch and a real cuddle bunny. She weighs around 20 to 25 lbs. She is very playful and curious like a typical puppy. She likes stuffed toys, balls, playing with her friends, being petted and held. 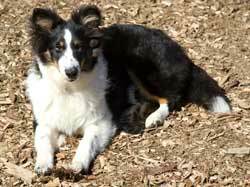 Like any collie breed, she has a long coat and will need brushing. She is on Fromm food and receives daily holistic supplements. She is available now. Please be someone who has time for a puppy. She would be fine for a part time worker who would not leave her alone for more than 4 hours or so a day. Please apply online so that we can review your application before you come to visit her. Cookie is a 4-5 month old terrier mix. She weighs about 20lbs and has little short legs like a corgi. Her furry face is adorable; she was rescued from a family that had small children, and they would carry her and her sister Sugar everywhere. She and her sister can't get enough attention, and want to be in the house where people are. Both are doing well on house training and if taken out often should be fully trained quickly. Cookie and Sugar are extremly smart and should learn rules and commands in short order. Our process is that we prefer you fill out the Web application so that we can be in touch with you. Sometimes these dogs go into a foster home and we do not bring them to the shelter unless we know when you are coming. The correspondence is best via email as we review applications after hours when it is too late to call. Cookie will be available as of 4/4/11. 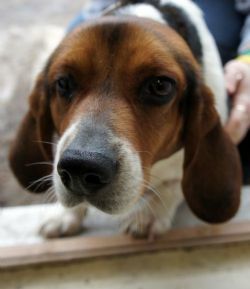 Cover Girl is a sweet 18 month old Beagle/Basset mix who is such a love bug! She is as sweet as can be and has the gentle Basset personality that people love. She has the long low body and the basset legs. She is kennel trained and is working on house training, although we are working on that. She loves to be petted and scratched behind the ears. She is fine with kids, men, women, and dogs; but will bark at cats, not that she would ever hurt one, but she is just curious. She will be a real couch potato once she discovers a couch. We hope it's yours. Please open your heart and home to this lovely dog. She will never let you down! Cover Girl is blind in one eye due to an injury when she was a pup. The opthamologist said she is not in any pain and the eye is healthy and does not need to be removed. She will just need a home on the ground level or with just one or two stairs as her depth perception is off. She is available now and is desperate for a family of her own. Meet Danny! He was raised here at Save A Dog after being taken in as a newborn, nursed by Dora the wonder dog, then tube fed by volunteers. 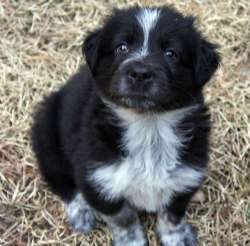 He and his siblings are: Danny, Bobby, Annie, Gracie, Oliver, Turbo, and Flyer. There are five boys and two girls. They were born around Feb 19th so will be 8 weeks old around April 16th. All have been well socialized by the volunteers and are on a fresh food diet so are very healthy. Holistic homes are sought for these gorgeous, fluffy puppies. They need someone home with them during the day and are too young for doggy day care. All are well adjusted, love to play with toys and with each other. Danny is the smallest pup originally, but not a runt by any means. He loves to eat and is fat and healthy. He loves to play with his brother Oliver and he amuses the older dog in the home, but is very respectful. This is a picture taken a few weeks ago. More pictures coming. PLEASE FILL OUT AN APPLICATION FIRST AS THEY ARE IN A FOSTER HOME. Meet Flyer! He was raised here at Save A Dog after being taken in as a newborn, nursed by Dora the wonder dog, then tube fed by volunteers. He and his siblings are: Danny, Bobby, Annie, Gracie, Oliver, Turbo, and Flyer. There are five boys and two girls. They were born around Feb 19th so will be 8 weeks old around April 16th. All have been well socialized by the volunteers and are on a fresh food diet so are very healthy. Holistic homes are sought for these gorgeous, fluffy puppies. They need someone home with them during the day and are too young for doggy day care. All are well adjusted, love to play with toys and with each other. 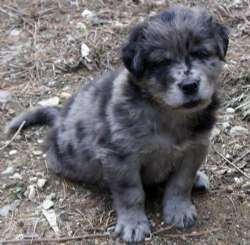 Flyer is a blue merle pup who looks like his larger brother Turbo, except that he has lighter markings and is slightly smaller. Flyer is a really nice puppy who loves to play and explore. He's smart and navigates over all sorts of terrain easily. He loves to run and play. Please fill out an application first as they are in a foster home. Hi! 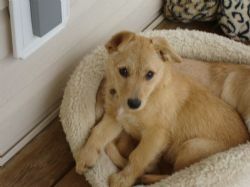 My name is Ginger and I am a playful 12 week old pup who likes to play with toys and chase a ball. I have been Suzie, and her puppies but I am not from the same litter. I am looking for a family of my own who will love me, play with me, and train me. I have been in a foster home in TN for a couple of months and I have been on holistic food so am very healthy, but I had kennel cough and mange, both treated. 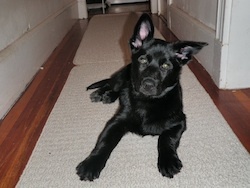 I am working on crate training and will need obedience training too, but I'm a willing learner and very sweet. Please be someone who has time for me. Your application is much appreciated. 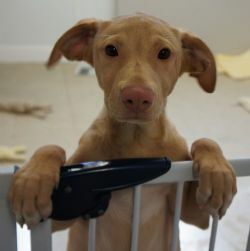 I am available for adoption 4/4/11. Meet Gracie! She was raised here at Save A Dog after being taken in as a newborn, nursed by Dora the wonder dog, then tube fed by volunteers. She and her siblings are: Danny, Bobby, Annie, Gracie, Oliver, Turbo, and Flyer. There are five boys and two girls. They were born around Feb 19th so will be 8 weeks old around April 16th. All have been well socialized by the volunteers and are on a fresh food diet so are very healthy. Holistic homes are sought for these gorgeous, fluffy puppies. They need someone home with them during the day and are too young for doggy day care. All are well adjusted, love to play with toys and with each other. Gracie is a cuddle bunny. She loves to be held and seeks out people attention over dogs, even though she loves to play with her littermates. She is gentle and sweet and will want to be with you 24/7. PLEASE FILL OUT AN APPLICATION FIRST AS THEY ARE IN A FOSTER HOME. Louise and her sister, Thelma, are 2 female Miniature Schnauzers who are available after 4/24/11. They were turned in by their owner to a dog rescuer in Indiana. Thelma is the taller one & Louise is more sun bleached. The first picture is of her after grooming. The other picture is the "before" picture. Please apply if you are interested in one or both of them and we will review your application after they arrive. 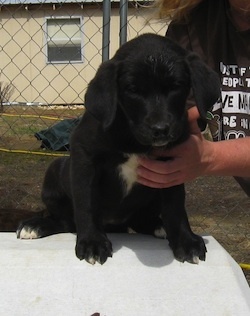 Her rescuer says: Louise is a sweet loving girl but more independent than her sister. Louise likes people but am not certain about children although I feel she would do fine with them. She loves walks and play time but will venture off on her own if allowed. She does well with her bath and grooming, does fair on the leash but does pull, training would be in her best interest. She was born 3-20-09, weighs 21 lbs, is very healthy, likes to ride in the car and come inside the house for company time and has done well during her time spent inside. She gets along very nicely with other dogs and puppies, will aggravate the felines a bit every now and then but never will harm them. She will share her food with her sister but prefers that others stay out of her bowl. Like her sister, she had been an inside pet before being given up by her original owner because his health problems made it to difficult to care for her. She was given to the same friend who did not want to care for her as an outside dog. She was surrendered to a foster home where she lived until being accepted into SAD. Louise will make a wonderful little companion. Her diet is dry kibble, canned food and raw meats. She enjoys treats, dog biscuits and chew sticks, jerky strips. She is ready for her forever family, she has been shifted from place to place enough already, please be willing to give her a permanent home or do not apply. She deserves a forever home. Minnie Moo is one of 21 dogs rescued in November 2009 and has been in a dog sanctuary, Friends for Life, in WV getting socialized. Minnie Moo has two endearing habits: One is throwing her head from left to right when she barks, and the other is standing up on her back feet and pawing the air with her front feet. Adorable! She stays close by and also comes when called, although we're still working on her coming directly TO us..... When we take the other dogs out on leash, Minnie goes along and hangs right with the group. She is around 15 lbs. and is probably between 2 1/2 and 3 years old. She has been spayed and received her rabies and DA2PPv vaccines. She was not raised with kids and will need a secure fenced in yard as she still needs leash training. She likes to pal around with Skip. The nice thing about these dogs is that they do not bite, even when scared, so we have been able to socialize them quickly. We've had over a dozen successful adoptions with the dogs from this group who came up last year and we're hopeful that we can find this group great homes too. Each would be best with another small dog as another dog will help build their confidence. She is available on 3/28/11. Hi! 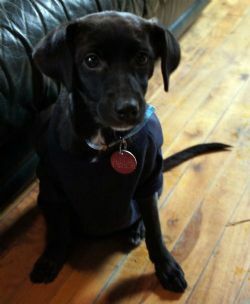 My name is Missy and I am a playful 11 week old pup who likes to play with toys and chase a ball. I have been with my Mom, Suzie, and my littermates since birth. I am looking for a family of my own who will love me, play with me, and train me. I have been in a foster home in TN for a couple of months and I have been on holistic food so am very healthy, but I'm spending a few more weeks in TN as I coughed and my foster mama wants to make sure I don't have kennel cough. I am working on crate training and will need obedience training too, but I'm a willing learner and very sweet. Please be someone who has time for me. Your application is much appreciated. I am available for adoption on 4/4. Hi there! My name is Noah and I'm just a baby. I weigh about 10 lbs and am about 3 months old. They think I am part terrier, part Chihuahua or Min Pin, who knows. I'm VERY affectionate and just want to crawl into your arms and be held. I'm a fun dog and I am hoping I can find someone to love me. My previous owner tied me outside and I'm too little for that. I am good in the car. Sometimes I bark when I'm scared. I bark because I'm little and the world is big, but mostly I'm joyful. So what do ya say? I am pretty cute and that will take me a long ways. Please adopt me! Oh, by the way, you can fill out an application online for me beforehand so that my caretakers can get in touch with you. I'll be waitin' to hear from ya. Meet Oliver! He was raised here at Save A Dog after being taken in as a newborn, nursed by Dora the wonder dog, then tube fed by volunteers. 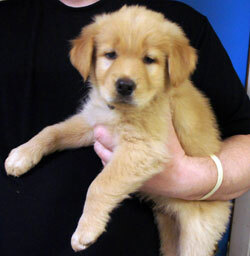 He and his siblings are: Danny, Bobby, Annie, Gracie, Oliver, Turbo, and Flyer. There are five boys and two girls. They were born around Feb 19th so will be 8 weeks old around April 16th. All have been well socialized by the volunteers and are on a fresh food diet so are very healthy. Holistic homes are sought for these gorgeous, fluffy puppies. They need someone home with them during the day and are too young for doggy day care. All are well adjusted, love to play with toys and with each other. Oliver is a very active puppy, always trying out his antics on his litter mates. He's beyond adorable. PLEASE FILL OUT AN APPLICATION FIRST AS THEY ARE IN A FOSTER HOME. 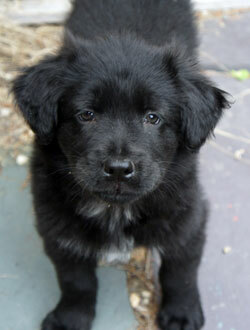 Parker is an adorable black fuzzy puppy who was born on 11/24/10. Parker is in foster care and is enjoying playing with two big brothers, a Lab and a Hound. He's really attached to the big Lab and follows him around everywhere like a little shadow. He can be seen in his foster home in W. Robury, once we recieve your application, or at Save A Dog in Sudbury, if you let us know you are coming to meet him. Parker will be at our meet and greet on Saturday, April 2nd. Please fill out an application if you would like to meet him. Info on his litter: Arnie, Bennie, Carter, Parker, and Zach are males; Emily Rose, Jenny Lynn, Lola, and Punkin are the females. Their mom, Lady, is a small Husky mix and dad appears to be a Lab mix. 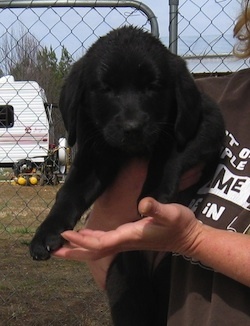 Some of the pups look like Labs and others have the markings like a Shepherd. Mama dog, Lady, has Shepherd markings on her legs, (see separate write up and picture of her on Web site) but she generally looks like a Husky. Meet Polly! 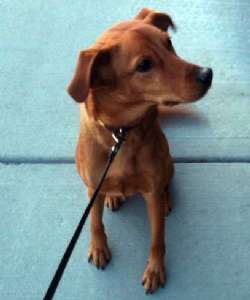 She is a long-legged Dachshund mix (not the shorty type) and she is adorable! 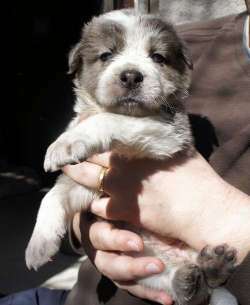 Born 12/18/10 she was brought to a shelter along with her sister, Lorry, who is adopted. 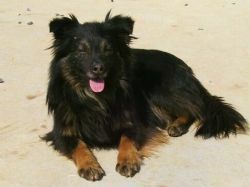 Polly is a fun-loving pup who loves to chase a tennis ball or squeak a squeakie toy. She loves to sit on your lap and be cuddled. She would love a family and prefers someone who is home with her. Please apply online to make sure we can talk first as she is in a foster home and will need to be brought to the shelter. 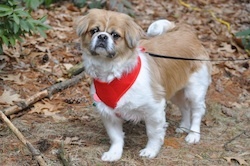 Rudy is a six year old neutered male Peke mix who recently lost the only home he had ever known. His family had a baby and he was too nervous around the newborn. He is fine with visiting children and he adores the 13 year old girl in his foster home, following her everywhere and looking out the window after her when she leaves for school. He is a cuddler with his family and sat on his mom's lap every night when he was in his first home. He sometimes slept in the bed, but was well behaved in his crate as well. He is totally housebroken, is not a leg lifter at all. He is clean and quiet and would make a great companion for the right household. He grew up with another dog, a beagle, and they lived happily together. He is a good dog who deserves a great home. He will be very devoted to his family. His foster mom says he is very affectionate. He will sometimes growl when nervous, but he would never so much as lift a lip. He has a lot of substance and everyone who gets to know him just adores him and says that he will make someone an awesome dog. He's just the type of dog who is reserved at first. An adult home would be ideal for him. Other dogs are fine, probably cats too. He weighs 22 lbs. so is a nice size and could live in an apt. or condo. He loves riding in the car and is generally a quiet, well-behaved dog. This is Sugar, she is 4-5 months old and 13lbs, quite a bit smaller then her sister Cookie, but is the bravest of the two. She is sweet as can be, and is desperate for someone to love her. She has little tufts of hair on her face it's hard to see in the picture, she may someday grow more but who knows?? She is a Terrier mix. Both she and Cookie were rescued from a family that had small children, and they would carry her and her sister everywhere. She and her sister can't get enough attention, and want to be in the house where people are. Both are doing well on house training and if taken out often should be fully trained quickly. Cookie and Sugar are extremly smart and should learn rules and commands in short order. Our process is that we prefer you fill out the Web application so that we can be in touch with you. Sometimes these dogs go into a foster home and we do not bring them to the shelter unless we know when you are coming. The correspondence is best via email as we review applications after hours when it is too late to call. Cookie will be available as of 4/4/11. Hi! My name is Sushi and I am 1.5 years old. I'm still a puppy and love to play. I'm curious about the world and not afraid of anything. 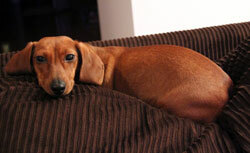 I'm a miniature dachshund so am pretty small. I could even fit under the seat on a plane if you're a traveler who likes to take me with you. I love to chase a ball or chew on a bone. I'm very affectionate and lots of fun. I had a nice home, but my mommy and daddy were having a baby and thought I was too active. I was raised with a big chow who was already grown, so I can go with larger dogs. I'm happy pretty much anywhere. I just need someone to love me and train me. 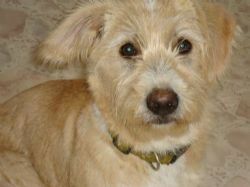 Thelma and her sister, Louise, are 2 female Miniature Schnauzers who are available after 4/24/11. They were turned in by their owner to a dog rescuer in Indiana. Thelma is the taller one & Louise is more sun bleached. The first picture is of her after grooming. The other picture is the "before" picture. Please apply if you are interested in one or both of them and we will review your application after they arrive. Her foster rescuer says: Thelma is the sweetest girl, loves the company of her human friends & other dogs, very affectionate & seeks attention likes to go for walks. Does well during her bath & grooming. She gets along with the felines but will give them a little rush every now & then, still she can live with them & do very well. She behaves very well in the car & likes to ride, does get car sick at times, not all the time. She stays within her given boundaries never wanders at all. Does fair on the leash, she could benefit from obedience training, she likes to jump or stand up on you. She prefer not to share her meals, she will not go into another's bowl & does not allow another into hers. Her birth date is 3-20-09, weighs 27 lbs & is a very healthy girl. I have not observed her with children but I am certain she would like them, she is sweet natured. She likes dry kibble & canned food, along with raw meats. She enjoys chew sticks, dog biscuits & jerky strips. Likes to play with her toys. Thelma's original owner had to give her & her sister up because of health problems that made it to difficult for him to care for them, they were housedogs during their life spent with him. He gave them to a friend of whom had to keep them outdoors, she no longer wanted to care for them & surrendered them to a foster home where they have lived until being accepted at SAD. 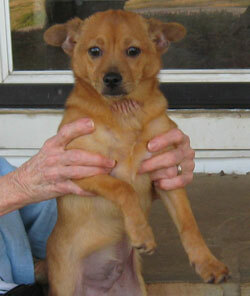 Wonderful little dog, she will be a warm loving companion & addition to any family. Meet Turbo! He was raised here at Save A Dog after being taken in as a newborn, nursed by Dora the wonder dog, then tube fed by volunteers. He and his siblings are: Danny, Bobby, Annie, Gracie, Oliver, Turbo, and Flyer. There are five boys and two girls. They were born around Feb 19th so will be 8 weeks old around April 16th. All have been well socialized by the volunteers and are on a fresh food diet so are very healthy. Holistic homes are sought for these gorgeous, fluffy puppies. They need someone home with them during the day and are too young for doggy day care. All are well adjusted, love to play with toys and with each other. Turbo is the largest male and possibly the most striking. 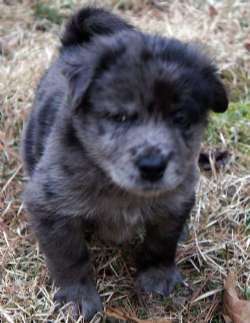 He is a beautiful blue merle with a gorgeous blocky labby head. He is very playful. Turbo and Flyer look alike except that Turbo has darker markings on his back and a wider head. PLEASE FILL OUT AN APPLICATION FIRST AS THEY ARE IN A FOSTER HOME. Hi! 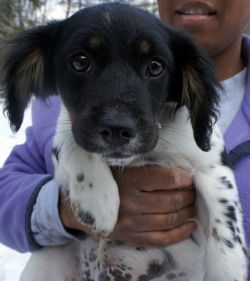 My name is Windy and I am a playful 10 week old pup who likes to play with toys and chase a ball. I have been with my Mom, Suzie, and my littermates since birth. I am looking for a family of my own who will love me, play with me, and train me. I have been in a foster home in TN for a couple of months and I have been on holistic food so am very healthy. I am working on crate training and will need obedience training too, but I'm a willing learner and very sweet. Please be someone who has time for me. Your application is much appreciated. 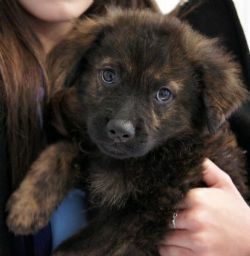 I am available for adoption on 3/21/11. Hi there! My name is Winston and I'm a 3 month old puppy. I love to play and chase a ball. I'm just a baby, so you need to be home to play with me. I love to be held. I'm not leash trained yet, but small enough to carry in your arms. I'm great with dogs and cats, but I am teething so no children under 9, they say. I am available 4/4. Please fill out an application online!